It’s fall again. The time of year when the evenings get cooler, the leaves turn golden and the BBC starts to fret over its war chest. 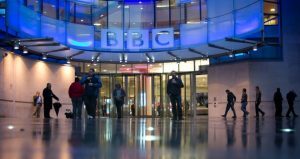 Last fall the British state broadcaster managed to secure an additional £289 million ($385 million), over four years, from the national defense budget. This was to boost its World Service and is on top of the £245million ($325 million) annual cash pool the institution already receives. That sounds like a lot, but it’s even more impressive considering it’s predominantly for radio and online services and remains separate from the budget of the global TV news channel BBC World News. This bonus largesse was granted after a year of public lamentations about the threat posed by news broadcasters from China and Russia (yes, that would be RT). The BBC’s last campaign was heavily promoted by its friends in the likes of The Guardian, before finally convincing politicians to hand over the cash. Of course, this doesn’t tally with the regular London media nonsense, which paints Russia as some kind of repressive state where no dissent is tolerated. But the BBC, probably inadvertently, while boasting of its own success, admits that its viewpoint is freely allowed to air in Russia. “The BBC is currently available online in Russian, English and other languages in Russia, as well as on TV in Russia via partner channels and in English via BBC World News with a total audience of 6.9 million (measured in June 2014),” the pitch states. Also, despite the usual UK press line which clearly suggests a world where “nobody watches RT, except cranks and conspiracy theorists,” the BBC declares that “viewing figures for RT, Russia’s international news channel, have seen a sharp increase. RT currently broadcasts in English, Spanish and Arabic and has plans to expand into other languages. It also operates very successfully on social media.” This is extremely scary stuff! Next Wednesday, Westminster will debate the BBC’s impartiality, at a forum hosted by Conservative MP David Davies. It’s doubtful the discourse will center on how the Beeb has toed the Whitehall line on all foreign policy issues for many decades. We also wouldn’t expect too much navel gazing on its questionable performance during the Scottish independence debate, not to mention the blatant hostility toward Jeremy Corbyn, which has been fully exhibited by its political staff in recent times. While these topics may receive some limited airtime, it’s more than reasonable to imagine an alternate playbook. One where the BBC gets off scot-free and pats itself on the back during another “nod-fest,” at the same time as it pleads poverty and vulnerability at the hands of big bad RT, which has a fraction of its overall financial muscle.